Lagarde didn’t hesitate to criticize Britain’s upcoming departure from the EU, known as “Brexit.” Britain is due to leave the European Union on March 29. UK businesses fear a possible “no-deal” Brexit with the EU will cause economic chaos by imposing tariffs, customs and other barriers between Britain and mainland Europe. 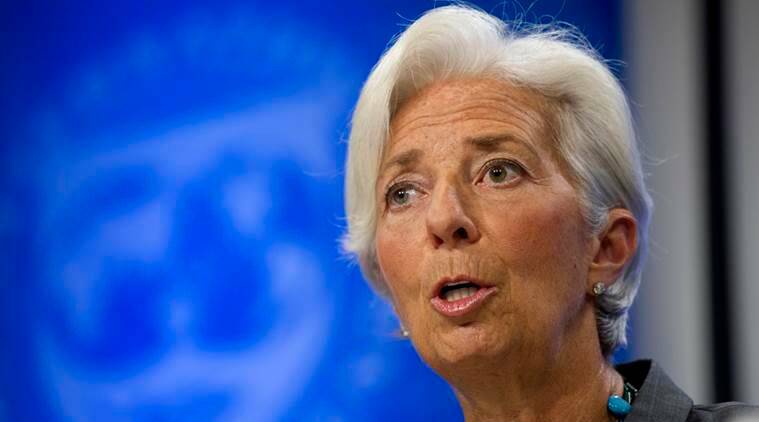 “I’m certain of one thing, is that it’s not going to be as good as if they had not been Brexit, that is for sure,” Lagarde said. “Whether it ends well, whether there is a smooth exit given by customs unions as predicated by some, or whether it’s as a result of a brutal. exit on March 29 without extension of notice, it’s not going to be as good as it is now.” She urged all parties to “get ready for it” as it will upend how trade is now conducted with Britain. “We took the decision to bring together all the political powers because is this is the only way to save Lebanon,” Hariri said. “Today in Lebanon, we don’t have the time or the luxury of politics because our economy could completely collapse unless we surgically remove (politics) quickly, seriously and collectively.” Gulf nations like Saudi Arabia are increasingly suspicious of Lebanon’ government because of the influence of Hezbollah, the Iranian-backed Shiite political party and militant group. Hezbollah has three ministers in the new government. Published on Sun, 10 Feb 2019 14:03:18 GMT, © All rights reserved by the publisher.